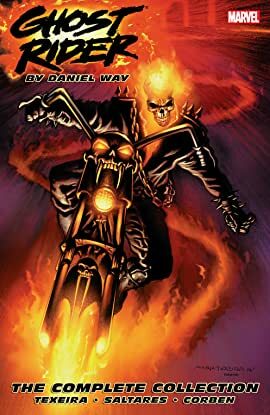 Collecting Ghost Rider (2006) #1-19. Once upon a time, Johnny Blaze made a deal with the Devil – and to no one's surprise but his own, he got shafted. Now trapped in hell, with the Spirit of Vengeance bonded to his immortal soul and weighing him down, Johnny may have finally found a way out. But at what cost? 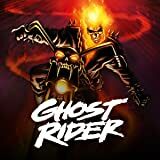 From the depths of Hell to the glittering spires of Heaven, the Ghost Rider rides again, blazing new trails and dispensing fiery vengeance in his wake. The demonic team of Daniel Way, Mark Texeira and Javier Saltares reunite to put ol' Flamehead back in the saddle where he belongs. Ready or not, here he comes!